Every person who lists a private label product on Amazon is playing in Amazon’s playground. That means Amazon makes the rules, and man, do they set the rules! There are all kinds of guidelines and rules that govern how you list your products and a host of other things. You want to make sure you’re doing things right. Amazon is not shy about banning people from their sales platform for breaking the rules. Recently, some changes are happening within those rules, and they’re things you need to know about if you’re going to stay within the guidelines. Today’s episode features Karon Thackston, an Amazon listings copywriter whose business creates done-for-you Amazon listings for sellers. She’s got the low down on all the changes, so make sure you listen. Rolling it out changes a little bit at a time. Karon Thackston and her team deal with Amazon listings all day, every day. It’s their job to write incredible product descriptions and copy for Amazon sellers. As part of her role she interacts with seller support technicians often. Lately, she’s struck up a relationship with a support guy named Peter who’s been helping her address some of the inconsistencies within Amazon’s rules and system. Many of the changes we’re beginning to see are a result of these interactions. On this episode you’re going to hear how Amazon is rolling out small changes in certain product categories and how they might wind up being added to other categories as well. Why do some product listings have images in their descriptions but I can’t put them in mine? Listing your products on Amazon means that you have to play by Amazon’s rules. One of those rules has to do with the way product listings are formatted. Up until this point, basic Amazon sellers are not allowed to put images within their listings. But you still see images in some listings. That’s because Amazon extends special privileges to big name brands and what they call A+ sellers, as well as their own Amazon branded listings. It’s somewhat of an unfair advantage those companies have, but again, it’s Amazon’s rules that govern the listings. Character restrictions for bullet points in your product listing have changed! Previously, bullet points could only be so long, but Amazon has increased those (in certain categories) to 200 characters. Now your bullet points can be longer. But don’t get too excited. Today’s guest, Karon Thackston recommends that you not overstuff your bullet points with unneeded words and descriptions. She believes it will actually detract from your listing and cause shoppers to click away. Find out why she thinks so on this great interview episode of the Amazing Seller. Entering your keywords on the Amazon backend is not as simple as it may look. There can be lots of confusion about what format your keywords should be in when you enter them in your product description. Should they be comma separated? What about spacing? Should I include multi-word keywords? These and other issues are very important because the Amazon software handles each of them differently. Karon Thackston is on the show today to clearly define these keyword issues to help you get your products seen and purchased. You’ll want to hear this one, for sure. [0:05] Scott’s introduction of his guest, Karon Thackston. [1:49] Overview of what we’ll be talking about today. 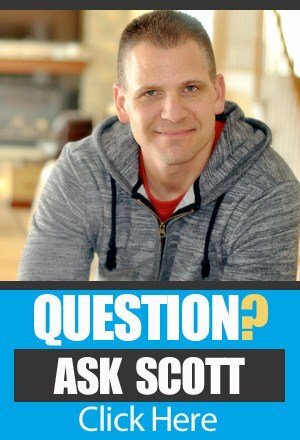 [2:00] Your invite to Scott’s live Q&A workshop online. [3:55] The new changes to the Amazon listings guidelines. [8:00] Changes to formatting that are likely to roll out across all categories. [11:00] Why some listings have images in the product descriptions and why you SHOULDN’T do it. [12:35] The top conversion tips for Amazon product listings. [16:16] Character limit changes for titles and bullets (in some categories). [18:55] Additional dos and don’ts for the title. [23:21] What if your competitor is breaking rules? Should they be reported? [25:51] Updated opportunities to mention compatibility issues. [29:41] Rules regarding bullet formatting. [34:42] How to work around description formatting issues. [36:57] Changes to search term field guidelines. [40:00] Using PPC data to discover search terms. [43:47] Are descriptions used for indexing in Amazon’s system? [49:00] Unknown things about search terms you need to know. [55:00] Karen’s done-for-you services for Amazon listings. …all of that good stuff, keywords everything. She’s going to give us the updates to that because some new things has just come out and she’s been working with some of her clients and that’s how she knows. She is going to share that all with us. Now, I have to say before we move on here it’s a little odd for me today to really get fired because it’s so darn cold outside. I’m kidding of course but it really is. It’s like, gosh, this morning was like ten degrees but yes. Minus like five on the windshield and I’m just not liking it here in New York right now guys. For those of you guys that are long time listeners, you guys know that I’m heading south. I’m heading south but I can’t wait. The positive here is that there’s not a lot of snow on the ground. That’s good but man oh man, it feels like I’m chilled to the bone all the time and I’ve got the heater running and everything. Man, this is why I don’t like the north east. Sorry, for anyone that’s out there that loves skiing and all that good stuff more power to you. I did that too when I was younger but I’m good now. I’m ready to move on. All right. I’m really excited to share again with you this special guest and we’re going to talk all about optimizing your listing and all that. If you have not listened to the episode that I did with her before all the way back in episode 86 I strongly recommend checking that out when you get a chance. Okay. That’s the amazingseller.com/86. Now, this show will be completely different. 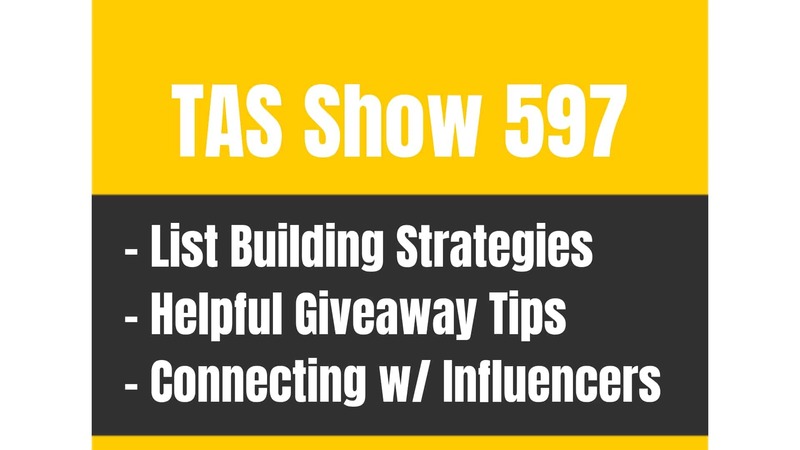 We’re going to be talking about all the new updates and some really good advice on how to create a really, really well optimized listing that is. All right. This episode is 155 so the show notes to this episode will be over at theamazingseller.com/155. Now, before I do jump into today’s interview, I did want to remind you especially if you’re brand new, if you have not attended one of my live workshops where I walk you through the five phases for launching your product, you could always register for an upcoming one by visiting theamazingseller.com/workshop. This is live, this is where I will be on there with you, I’ll walk you through the five phase. Then from there, I’ll also answer a live Q&A at the end. We have a lot of fun. I love sitting around virtually a table and talking about this stuff that’s how I envision that I am with all of you guys. It’s just sitting around chatting about this stuff. If you want to attend one of them head over to theamazingseller.com/workshop. All right guys. What do you say? Let’s listen to this interview that I did with Karon Thackston. She’s going to break it all down and how to optimize our listings especially with all of the new updates. Enjoy the interview. [00:03:07] SV: Hi, Karon. Thank you so much for spending another day with us here at the TAS headquarters. How’s it going Karon? [00:03:16] KT: It’s going good. Good to be back. It’s always fun to hang out with you. [00:03:20] SV: Yeah. No, this is really, really great to have you back and just to let everyone know the reason why we decided to do this was you emailed me, I don’t know, maybe three four days ago. You said, “Hey your listeners might be interested in this and there was some updates and some changes that Amazon had implemented and added and you had a humongous post on it. At first I was thinking well of course I’m going to share it and maybe I should just do a podcast by myself and kind of read through it and I’m like but you know what, maybe I should just have Karon come on because we’re going to have questions. Here you are. Why don’t you just kind of take … I think anyone listening right now I’ve already given you the pre-intro but Karon’s already been on the show before, episode 86 if you want to go listen to that. 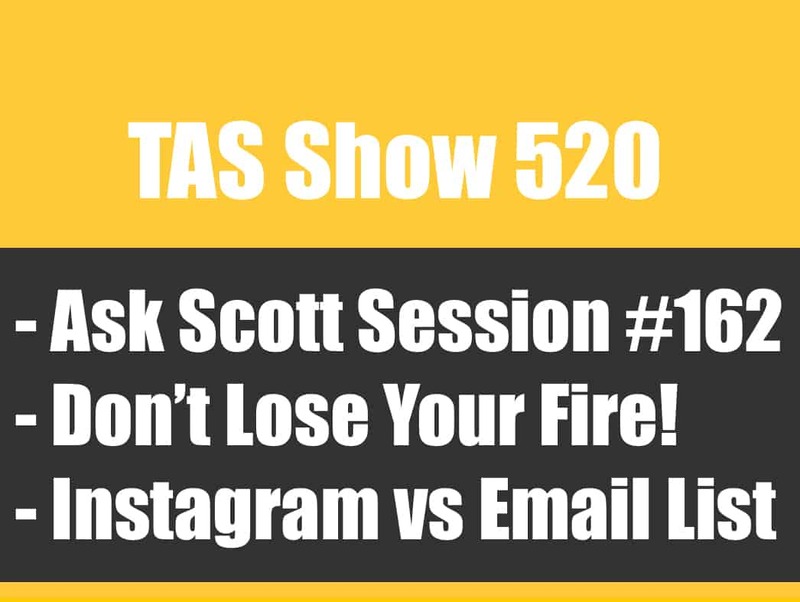 All about optimizing your listing and just a wealth of information and she’s been doing it a very long time but go to that episode and if you haven’t heard that one because it’s filled with gold nuggets. Today’s going to be really something fresh that kind of just recently happened that some of your clients have discovered that you’ve implemented. Why don’t you just lead us through what the changes are and what this means? [00:04:27] KT: Okay. Sure. Anybody that has had any contact with me for any length of time realizes that one of my pet peeves about Amazon had always been the huge amount of confusion and conflicting information when it came to title character counts. Even within the same category, if you looked in one place and you looked in another you got a completely different story and it just blew everybody’s mind, seasoned sellers but especially beginners that didn’t have a clue. I started contacting Amazon, now it’s been, four months maybe five months ago. Just was relentless. What are we going to do about these titles? What are we going to do these titles? Eventually connected with a seller support rep whose name is Peter. He and I began working to bring about some pretty cool changes in Amazon regarding title character counts. While we’re cleaning all of that up to make sure, it’s still in process, not finished yet, to make sure that the added product title product name section said the same thing as the style guide, said the same thing as the website, said the same thing as the flat file. Blah blah blah. We started looking at other issues as well as they came up. Without any kind of official announcement or any big deal they did have it on the homepage of sellers central where you get the news and what not in there for maybe a day. Amazon released the first one of these updated style guides into the home kitchen garden pet category and sub-category on December 17th. When I took a look at it, Peter didn’t even know it had come out. I emailed him and said, “Holy cow. Look at this.” He said, “What are you talking about. Send it to me.” And then I emailed him. The changes are super cool and go way beyond just title counts. I was so excited to see that they had put some other information in here and while everything we’re going to talk about today is specific to home garden pets kitchen. Hopefully, fingers crossed, they are going to go in and implement these same changes in many of the other style guides as well. We are talking about expanded character links for titles in this category, in the associated subcategories. Clarification about what is allowed and what isn’t allowed. There was a lot of confusion about that warnings. They’ve actually put warnings in here. I thought it was so funny when I read some of them because you can tell they are trying to slam the door on people that want to jump through loopholes. They have a few hints in here about Amazon search engine rankings, you get expanded character link, legal expanded character link for bullets and, drum roll please, they have allowed one legal HTML tag to be used in the product description section where previously none of them were legal. Yes, I understand you can put them in there and probably 85% of the time the system would accept it. Amazon had gone to the point had gotten a lot of feedback from sellers that said it’s just not going to take it. Amazon has been cutting off seller accounts from the ability to even input HTML. The one tag that they have right now is would make a big difference on it’s own. [00:08:21] SV: Where would you find that? You would just put that in where your description goes? [00:08:26] SV: Okay. It’s just a standard H1 tag? [00:08:29] KT: No. Actually the tag that they are now legally allowing in the product description is the paragraph tag. You don’t have one big giant block of text anymore. You can break it up legally into paragraphs and you don’t have to hold your breath wondering are they are going to come back and delist my product until I bring it under compliance if you are putting listings up in home garden pets kitchen you can legally now use the paragraph HTML tag. Yeeeah. [00:09:01] SV: Got you. Exactly, let’s all say yeah together because that is annoying to have this big block of text that is so hard to read. Everyone wants to scan. It’s like bullets and if for not being able to do that legally or air coating it. Like you said, like 85% of the people are still doing it and getting through but there’s always that chance that you’re breaking a rule in a sense you could possibly get into trouble for and get shut down for a week or two or whatever. How long it takes to get that fixed. This is really, really interesting. I really do hope that this is like the start of them cleaning things up and then also moving into the other categories. I get a lot of people, they are saying, “Yeah, but I’m playing by the rules but no one else is. It’s not fair.” How many times you see images with all this graphic stuff on there. We know it’s not legal but they’re doing it and your competitors are doing it so you’re getting upset but I always tell people just patience. It’s like eventually, it will be like the Google slap I’m assuming. Then everyone that played by the rules will stick and everybody else will fall below. I would go in and do a search for whatever they said that they thought that their primary keywords would be. No, actually two thirds of the people on the first page were playing by Amazon’s rules and one third were using the spammy, extremely long tactics with the longer titles and the longer bullets and everything like that. The other thing that we get as far as product descriptions talking about HTML in there. We get a lot of people that are confused when they see images in the product description. I’m going down a rabbit trail real quick. This has nothing to do with style guide improvements but just to mention. They put an image in and they get clocked by Amazon and their item is delisted. Just because you see somebody else doing it doesn’t mean it’s legal for you to do it. [00:12:22] SV: Right. 100% I agree. Before we really dig into that other stuff that we want to talk about like just because you talked about conversion. What do you think really … We talked about this on episode 86 but let’s just do it again really, really quick. What do you think the number one conversion mechanism is that someone should really make sure that they pay attention to. What’s the number one thing that you could say is one of the biggest mistakes but also one thing that you think that has to be in there that will affect your conversion to a certain degree. You’re on the spot, I know. [00:12:57] KT: Well, there’s just not one. You’re asking for one. I’m kind of weighing them in my head because they all work together. The title is very important but if you are writing titles according to Amazon rules and regulations then there’s not a lot in that title other than information. I honestly think that Amazon does that on purpose. The reason that I think works with all the stuff that Amazon feeds us and says we test these up one side and down the other and this is what gets the most clicks. It’s because it has a limited amount of information. If the buyer wants to make a purchase, they are forced to click multiple listings to get the details so it actually improves or like I said, this is my guess, underline the word guess. This is not something that Amazon has told me but it would make sense because they wouldn’t have a choice but to click to multiple listings to see what the details of that particular product are in the bullets in the product description. I can’t name one. It all works together. I hate to say that there’s one because then everybody listening to you is going to change that one thing and come back and say, “It didn’t work.” All the elements play together. [00:14:22] SV: I agree and I guess reading through all that like you said does work together. Just maybe you can say if you agree or disagree. Like for me personally a lot of people they are scanning, right? Number one, the title is going to help you get found because of the keywords that are in there so that’s number one. The search right is going to help you but then from at that point when you’re scanning an image to me is like really, really important. That’s going to let you say, “Oh, this looks good.” Then you are going to click in and then once you click in then yes you have the bullets, you have some description and you have the reviews. All of that stuff does works as the conversion mechanism and stuff that can always be improved for the most part. The image to me is one of the more important things. My background is in photography as well so I know how important that image is to grab the attention rather than just looking like you cut something out with a pair of scissors and slapped it up there as a Photoshop. It’s like you didn’t really do a good job or have a professional photographer do that. You are right. There isn’t one but if I was to say on a surface level to get someone to click into my listing, it would be a picture and title. They are really the two only things that you can see until you click in. [00:15:35] KT: Right. Well, no not necessarily.. On the search results page you get the review, the stars will show up then you get that snippet that usually will come out of a bullet. You get a little bit of additional information too but yes the title is very important but marketing world doesn’t handle images so I can’t really speak to images. I love to look at images and you’re right. I would much prefer … I feel more comfortable just as a shopper with professionally done images instead of homemade looking ones. [00:16:15] SV: Yeah. Exactly. Cool, lets dig into this the actual post that you wrote maybe like scan through and pull out some of those key pieces that we should probably be talking about. [00:16:27] KT: Okay. In this general home category which also covers like we said before pets and kitchen and garden and things of that nature. What we previously had was an 80 character limit on bullets. We had 100 character limit on titles. Both of those of those have changed and now you get 200 characters for each of those. Every bullet can be up to 200 characters and the title can be up to 200 characters Now, let me stress here just because you can put 200 characters in all these different places doesn’t mean you necessarily should. There are products out there that are very self explanatory that people are actually shopping based on features because they already fully understand the benefits. They are looking for those special features or something like that. They don’t want to read 200 characters worth of a bullet point. It’s quick. If you doing in a market that deals with men, I don’t know if you are one of these Scott but stereotypically men do not like to read online. [00:17:46] SV: I’m raising my hand. [00:17:48] KT: If you have a primarily male audience, you don’t want to be putting a long copy up there because they will roll their eyes. Generally in an e-commerce situation, people in general don’t like to read a lot. It’s a very quick glance, scan it, look at it, drop the bullets, go down to the product description or if you are on mobile that’s reversed. You would see the product description first and then you would see the bullets. All of that, you need to take into consideration. I get a lot of folks that email with questions and they don’t understand. They say, “Well, I can fit 354, 100, 500 characters into one bullet point so I want my bullets to be 500 characters each.” I’m saying, “No you don’t.” You end up with one giant massive block of words on that Amazon page and I bet you a dime to a dollar, three quarters of the people that look at that go “eww” and go on scrolling because it is just too much to read. [00:18:49] SV: Yeah, I agree. [00:18:50] KT: You get 200 characters legally for the title and you have some additional dos and don’ts in the title that Amazon has put into play. They specifically say no to use all caps in the title. Let me see what else is in here that was … Don’t include price and availability. They have gone further into what they call subjective or marketing language that they do not want in titles. They’re including ‘awesome’ and ‘great’ and ‘best’ and ‘number one’ and things of that nature. Here is one of the loopholes. Apparently they must have had a lot of people that did this. It specifically says, “Do not attempt to get around any of these rules by changing your products brand name to ‘number one best seller’ or another term that is prohibited by Amazon. [00:19:50] SV: Okay, yeah, that makes sense. I mean, look at the yellow pages, a lot of people name their business A something, right? A touch of green or something because they’re an alarm company and they want to be number one in the yellow pages and it’s a loophole but people have been doing it for years. You’re right. That’s funny. Okay. [00:20:08] KT: I have had several seller reps a year or so ago even that have told me that the kitchen sub-category in specific but the home category in general had just been absolutely hammered by people that were blatantly breaking the terms of service and just ruining its Amazon site. We’re welcomed to come sell on it but it’s Amazon’s site so we have to play by Amazon’s rules and so many people have absolutely thumbed their nose at Amazon and said, “We’re not doing it. We’re going to do it the way we want to do it.” Amazon is stamping its foot and saying, “No, it’s our site and you’re going to play by our rules or you can go away.” They’ve really tightened up on people that are trying to do things that they should be not doing. [00:21:01] SV: I think it’s good that they’re doing this and I think it’s great. My question is how are they going to police it? Are they going to have filters in there that are going to pick up this stuff when they’re trying to put the title in? That would be the simplest thing. As they’re writing out the title, it would pick up some of these words like you can’t use ‘special’ or you can’t use ‘top’ you can’t use … Things like that that are common words. You see people putting in there like ‘Black Friday special’ in their titles, you know? [00:21:26] KT: Yes and I don’t have an answer for that. I have wondered the same thing myself because if html is not allowed in the product description and so far in every category except this one which only has one legal tag, you’re not allowed to use html, then why does the add a product and flat file accept it? They shouldn’t be able to accept it. [00:21:51] SV: They shouldn’t be able to, exactly. [00:21:52] KT: The only thing I can think of is that they don’t have separate systems for … Well, let me rephrase. Everything starts in the same general system. For instance, Author Central has the ability to use bolding and bullets and where they have cute little buttons there, you know this. You just put up a book. It’s really simple to format your listing in Author Central if you are an author. Vendor Central, same way but my guess is that everything goes into this main system first through seller central and then they never thought to put any limitations in there. I would be willing to bet money that they’re working on it now. As a matter of fact, we’ve seen people, I think I mentioned earlier, that said they wanted html in their product description for example and will write it the way the client wants us to write it. They went to put it in, it was a brand new listing and came back to us and said, “It won’t take it.” I am fully convinced that Amazon has the ability to either police things on an individual account basis or maybe they do updates and older listings are grandfathered but the newer listings aren’t able to do what they were doing before. Those would be some guesses that make sense based on what we’re seeing. [00:23:21] SV: What’s your thoughts on this? If I’m a seller and I see my competitor or competitors are doing these things like Black Friday sale, would you personally contact Amazon and say that they’re violating certain terms of service? [00:23:36] KT: There is a way to do that. I think it’s called the performance team, something like that. You can contact seller central if there’s something you’re interested in doing. So many people are coming from Amazon that are eBay sellers and it’s the wild west on eBay. They don’t have these strict rules and regulations. You can pretty much write whatever you want to within reason and format it however you want to format it. I honestly believe that there are a lot of people on Amazon who just assume and never bother to look because that’s the way it was on eBay. There are other that purposely, whether you’ve taken a course that completely led you off track and told you things that it shouldn’t have been telling you to begin with and that’s what you’ve been taught so that’s what you believe or whether you’ve had some other experience on Amazon, seeing other listings that did it and assuming it was okay. All of that again, it’s confusion, it’s conflicting, Amazon needs to clean it up but they’re working on it. [00:24:45] KT: You get 200 characters; let’s see what they’ve had in here. They go into a lot more detail. Instead of simply saying not to use exclamation points and blah, blah, you get a lot more detail about keeping information factual and descriptive as well as compelling. They tell you, you need to give information that will help the customer see the value in your products with features and benefits. [00:25:26] SV: Okay and that’s pretty much what you’ve always been doing anyway. If I recall the last time we were talking pretty extensively about this in your bullets. A lot of times, people want to talk about the features but really, we want to talk about the benefits and then throw in some features. Has anything changed here? Is there a way you write that, you personally? [00:26:32] SV: A product that supports that? [00:26:33] KT: A product that supports that or that it’s compatible with, you can list that. [00:26:40] SV: For example if you’re selling an iPhone case but you don’t sell an iPhone, you can say compatible with the iPhone 6? [00:26:50] KT: Yes. My first thought goes to replacement products, replacement electronic toothbrush heads and replacement bulbs for equipment and whatever, you can now say compatible with whatever, whatever. [00:27:03] SV: Whatever brand, it’s not like you’re infringing on their brand because you’re just saying it is compatible and it will work with this brand. [00:27:12] SV: A Kurig coffee maker, you have the little thing that makes the coffee in the little container, yours fits a Kurig. [00:27:22] SV: Exactly, it’s a generic brand. [00:27:22] KT: You’re just saying yours will work with whatever. [00:27:28] SV: That’s actually good news that that’s actually in there and you can do that. I know before people were doing it. There was that grey area, should you, shouldn’t you but I’m glad now that is there because that is important. We do have a lot of products and I always teach people if you’re having a tough time finding products, find products that are selling really well and then find accessories for those products that you can create a better user experience to use that. [00:27:54] KT: Exactly. Some of the don’ts that they have with the bullets have remained the same. They’re saying don’t feel obligated to use all five fields if you … Essentially this is my paraphrase. If you can’t do a good job with the bullets and you’re just putting garbage in there to fill space, don’t. They’re saying three great bullets are way better than five weak ones and I agree with that. [00:28:19] SV: I do too. [00:28:21] KT: Again, with the ‘don’t use the promotional messages’ this is a place to describe the features and the benefits of the product. You don’t want to talk about your company, you don’t want to talk about your brand, you don’t want to use promotional messages like ‘sale’ or ‘great value’ or ‘hot this year’, some examples that they put in here. You don’t want to talk about pricing or shipping information or promotional information. They’ve got sections for all of that and they don’t want promotions in the bullet and whatever so that’s a repeat of the others that was in there too. You don’t get html on the bullets. I realized that you can make it go in there. I see little check marks and stars in there all the time but legally, no html on the bullets, even still. The only tag is the paragraph tag that’s allowed in the product description now. [00:29:16] SV: I would hope though again that they would clean that up because you do see stars and bullet points and all these different things in there and you’re like, okay it looks good. If they were smart they’d just create their own bullet right in front of it, everyone gets the same bullet, right? [00:29:34] SV: Yeah but it’s small. It’s not like that obnoxious checkmark or x. Those people putting those in there. What’s your thoughts on capitalizing the first word of that and then putting a dash to that to draw attention to that bullet? [00:29:49] KT: It’s not allowed, it’s never been allowed. They didn’t have it in the other one, in the old style guide but now it specifically says do not use all caps. The make the content hard to read so they don’t want that to happen in there. I do think that it does draw attention. That would be a change that I would be in favor of them allowing in the future even though it is not allowed now but I can fully understand how … How are you going to regulate that? If you put it into a style guide and you’re making a rule that everyone is to follow, can you say that the first two words can be capitalized? The first four words because people are going to abuse it, you know they will. The whole bullet will be capitalized and they don’t want that and I agree that if you have too much it makes it hard to read. [00:30:38] SV: No. I have done that and the reason I have done that, not my recent ones but in the beginning ones, I have because I wanted to draw attention, not the entire bullet but it was just the first word because you couldn’t have any attention there but if they could make it so you could maybe have a special bullet that everyone got, then there would be no need to do that. It makes it scan-able for me, you know what I mean but if you’re just reading this block of text again, there’s nothing there. You need like a header in a sense. [00:31:13] KT: Yeah, I agree and I’m not a huge fan of the new page layout because it takes those bullets and it shoves them underneath the product image which the image is very important but I have to have information in order to purchase. [00:31:40] KT: I have seen it across the board. Well, not every single listing, I’m still getting some of the old layout and then some of the new layout but I’ve seen it in numerous categories. [00:31:48] SV: Okay, because that has not been implemented on mine. I did see they switched it for like a month and then it went back. I don’t know if they were testing in beta and then they brought it back. For anyone listening it’s like the first two bullets would show below and then you will have to click ‘expand’ to read the rest. [00:32:08] KT: Yeah and if the title exceeded I don’t know how many characters it was, you’d get the same thing with the title. You see a portion of the title and they would have to click ‘more’ or ‘expand’ or ‘view’ or whatever it said to open it up to read the rest of the title. [00:32:23] SV: Yeah, yeah. Okay. All right. [00:32:24] KT: I don’t know, I kind of wish they would take that new page layout away. Even as a shopper, I didn’t care for it. [00:32:33] SV: Me neither, exactly. [00:32:34] KT: All right, let’s see, product description, we have some dos and don’ts here. You still get the same character count in the product description. [00:32:45] SV: What is that? [00:32:46] KT: 2000 and that includes every character so if you are using the paragraph html, you can obviously use open paragraph and closed paragraph so technically two tags but those are going to count as characters and I believe, I don’t have any proof but I believe that in Amazon system, it assigns more characters to html tags than are visible. Meaning if you put in a bracket, (p) for the paragraph tag instead of that being three characters, Amazon system might view it for whatever reason as five or six characters. [00:34:16] SV: It’s kind of almost like if you want to use html you can but it’s going to be double the count. [00:34:22] KT: I’m not sure how it is. It’s really strange but if you’re going to use that going forward in the home category and in those associated sub categories, know that it will take up probably more of your characters than just a standard letter. [00:34:39] KT: You want to watch for that. Still legally bolding bullets and what not are not acceptable but let me tell you this little workaround. You can use asterisks and spaces. Maybe you put an asterisk and two or three spaces and then a line that you might want to use as a bullet point. You will have double spaces in between your bullets because the paragraph tag automatically inserts a double space but that’s okay. That might just make it a little more visible. You can do your paragraph, open tag, asterisk, three or four spaces, a line for your bullet point and then the close paragraph tag and then do the next thing for your second bullet point. This is down in the product description still, we’re talking about. [00:35:31] SV: Yeah, that makes sense. [00:35:33] KT: Yeah, so you can do a little of generic work around that way and create a sort of a bullet list. [00:35:40] SV: Yeah, it’s more scan-able. [00:36:38] SV: That is in the description? [00:36:40] KT: Well, anywhere. In the title, they don’t want it, the bullets which I’ve never really understood that. [00:36:45] SV: Okay, well, again but if that’s there we got to abide by it. [00:36:49] KT: That is swell. [00:36:51] SV: Well, we have to, within reason, right? Okay, that takes us through to the description. We’ve covered the title, the bullets, the description. Is that everything that was included in that update? [00:37:05] SV: Oh, search terms? [00:37:07] KT: Search terms, we got some changes here. Unfortunately, you do not get more space for search terms. It’s still the 50 characters per line and then if you are a standard FPA seller, you’re going to get the five lines in the search term fields. If you are not an A+ seller, you have not been specifically invited by Amazon to be an A+ seller it makes no sense to put anything in the platinum keyword fields because it won’t be used. Those platinum keywords are for platinum A+ sellers so that won’t help you a bit. They do have additional guidelines in for the keywords. Some of the stuff is the same but a part of what they have said is that you should choose the terms that customers would think of when they’re shopping and I think that’s an excellent point that doesn’t get made enough. 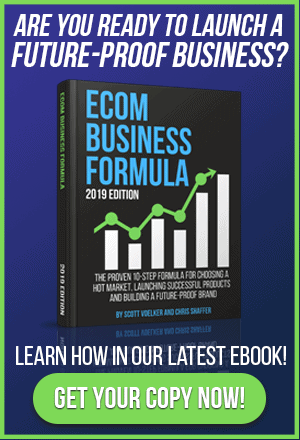 I have had clients that wanted to provide us with their own keyword research for Amazon and when we took a look like it, it looked like it had been done for Google and there’s a huge difference. Amazon and Google are practically polar opposites on the way that they function and the purpose of their very existence. Amazon is there to sell people products. Google is there to provide information. When you are doing keyword research for Amazon listings … Let’s see if I can come up with an example off the top of my head. Somebody was selling a travel bag, like a toiletry type of bag that you put in your suitcase when you are traveling and some of the search words that were returned to us had to do with vacation destinations. Well, if somebody were searching for information or tips on what to pack or how to pack or something like that, that would be awesome but when they are shopping to purchase a product, they are not going to be searching for anything that has to do with the travel destination. Unless they’re looking for a book and we’re not talking about books right now, we’re talking about products. You want to be careful when you’re doing keyword research that your mindset is the same as the Amazon shopper. Put yourself in their shoes. Go to Amazon and start shopping, trying to find a product that’s similar to what you’re going to sell and see what you would type in. Use that as a basis for your keyword research. [00:39:58] SV: I love that. One way that I personally do it and it takes a little bit of time but I run an auto campaign and see from that what has been pulled from that report of actual searches that have been done and obviously I don’t want to get the search that just gets a ton of impressions. I want the ones that actually get clicks and get sales. Over time we can be refining and tweaking that, putting in the ones that are actually searched for in Amazon. I get a lot of people that say, “I’ll just go over to Google and I’ll do a search over there.” That’s not where you want to go. The easiest way to do it too even if you have no data yet is to, again, like you said, go as though like you’re the buyer but then start looking at the search terms that they’re displaying for you in the dropdown. You’re going to see the list of most commonly searched for that particular search and related products and all of that good stuff. Me, personally, I love looking at the pay-per-click data because that gives me like actual searches that they have done and I can see what is converted, what hasn’t converted and as we keep refining this I think you can keep making it better. [00:41:05] SV: Yeah. One thing on the backend though, really quickly, I want to ask you because this happened and it was kind of strange. There was nothing in there really and it’s kind of confusing when they show you an example of what to put in the backend of your keywords, they’re showing you a keyword and then a comma, a keyword then a comma but I’ve never put commas in but I had a student of mine who did and we didn’t know this was the reason until after the fact, maybe it’s a fluke that it worked or not but we were on a mastermind call talking about this and she was like, “I just launched my product, I turned on pay-per-click and it’s not coming up with any related searches. It’s not coming up with any keywords that it’s telling me, any suggested keywords and because it’s scrapping the listing and it’s not finding anything.” I’m like, “In your backend, do you have your keywords?” She’s like, “Yes,” and I said, “Let me ask you, do you have commas or anything in there?” She said, “Yeah.” I said, “Can you pull them out?” she pulled them out and almost instantly, she started getting suggested keywords. [00:42:05] KT: Yeah, one thing that I found is people that only put a comma and not a comma and a space, Amazon is reading that line as one big giant word. [00:42:19] SV: Okay, that could have something to do with it. [00:42:22] KT: There is no word that says ‘pet,dog,brush,’ that’s all run together with no spaces. That could possibly be a reason for it. There is a place in Seller Central that tells you to put a comma and like you said, when they show the example, it has a comma and a space but they’ve cleaned up most of that now. The vast majority of them tell you do not use a comma, only use a space. That is the most efficient way to do it. If you use a comma then you have to use a space or you’re going to get, like we just said, it’s going to look like one big giant word. I just stick to use a space in between don’t use commas. [00:43:30] KT: I bet that’s what it was, the commas and no spaces in between so it’s all five lines, each one was its own little word. [00:43:38] SV: Yeah, that’s it. That’s very, very interesting. The other quick thing before we wrap this up I wanted to ask you because this had happened to me as well personally. We had talked the last time and there’s a lot of like yes, you can rank if you put in the keyword description, some say that it doesn’t. Amazon, I think says that it doesn’t. I’m not really sure and I’m not sure what your take is on that, putting keywords in the description if you’re going to show up or suggest it or get related because of that. Here’s what happened to me but just tell me if I’m crazy or if it was just a fluke again. I had two listings go up at the exact same time. They were basically the same product just one had a bundle and the other one didn’t. I didn’t do that as a variation, I did them as two separate listings. They went live the exact same day. Now, in one of the description, I had this particular keyword in there that I wanted to rank for, not purposely, I just had it in there. Then the other listing, the keyword wasn’t anywhere else either and it wasn’t in the description either. The one with it in the description ranked almost in two days, not like first page but I could find it. The other one couldn’t be found so I added it back in to the other thing and then, maybe, I don’t know, two days later I was now able to find it indexed. [00:45:02] SV: Does that mean that yes, they are using that … Not necessarily that it’s weighted the same but it definitely does get indexed? [00:45:10] KT: No it doesn’t mean that and to me it is undeterminable. Amazon has in seller central and several places, in one place they even have it highlighted in yellow that bullets and product description are not indexed for search. [00:45:28] KT: You hear stories like yours a lot but like we were talking about when we were trying to define what the one most important element for conversions in a listing was, it’s the same with this. There’s no way to single out every single thing that happened with these listings even though they were basically the same, one was a bundle and one was not a bundle and they had different amounts of traffic going to them. Unless they had identical everything, identical search terms, identical PPC campaigns, identical everything and that one word was the only difference, then you might be able to determine but because Amazon’s listing ecosystem if you will is also intertwined and one things plays with the other it would be difficult for me to say. I’m not one of these that say it absolutely positively, it does not help to have keywords in the bullets or the description, it could. I’ve just never seen any solid proof that it did. [00:46:33] SV: Right and I’ve heard the same thing and that’s why I always just recommend people, create the bullets for the product and for the people, don’t just do it for search. [00:46:44] KT: Right and you’re writing about a product, chances are a lot of those keywords are going to naturally pop up in the bullet, in the description anyway because it’s hard to write about a product without using any descriptors and these descriptors are your keywords. [00:46:57] SV: Exactly and I guess the other part of that too is let’s say the bullets and the description don’t help us rank organically or whatever but I do believe, I don’t know, tell me if I’m wrong, but if you’re running pay-per-click, to be relevant for that keyword, Amazon is going to scrape your listing to see if there’s any relevancy in there and if that keyword’s in your description or in your bullets, there’s a chance then that it will increase the relevancy and then you can start going for that keyword. [00:47:24] KT: Could be, that would make sense. [00:47:27] SV: Again, we’re just throwing stuff out, we don’t know for sure. I’m just saying that would make sense. They scrape the listing and I believe that they don’t just scrape title and the backend keywords and then that’s all you can rank for but there’s got to be some type of, like you said it, there’s got to be some type of algorithm there that has relevancy for different keywords. Even like a broad keyword search term, you might go after this broad term but then you get this really random keyword that’s semi-related but Amazon kind of knew it from past searches that had been down around that product. I mean they’ve got so much probably in that algorithm that we have no idea. That’s why I just tell people write it and don’t stuff it but just write it as you’re trying to explain everything that you possibly can about that product. [00:49:00] KT: No secret, just proper. [00:49:02] SV: Yeah, it’s just proper, there’s no secret. It will actually read well and it will actually look professional. [00:49:06] KT: That’s exactly right. Couple of other things about the search terms that I want to mention before we take off from this is that a couple of things that people tend to not realize. Any combination of the words in your title and in your search term fields are fully searchable. Now, if you’re talking about PPC which marketing words does not get involved with, you don’t write copy for PPC, Amazon just pulls from the product name so we don’t do that but I understand there is exact match options in PPC campaigns. That’s not the way that it works on an Amazon detail page. Don’t feel like you have to use exact match phrases and do the old nasty Google trick that thank goodness is no longer relevant where you repeat the same key phrase over and over and over. It will not only destroy the readability of your copy but it won’t help you a bit. [00:50:10] SV: Right, great point. 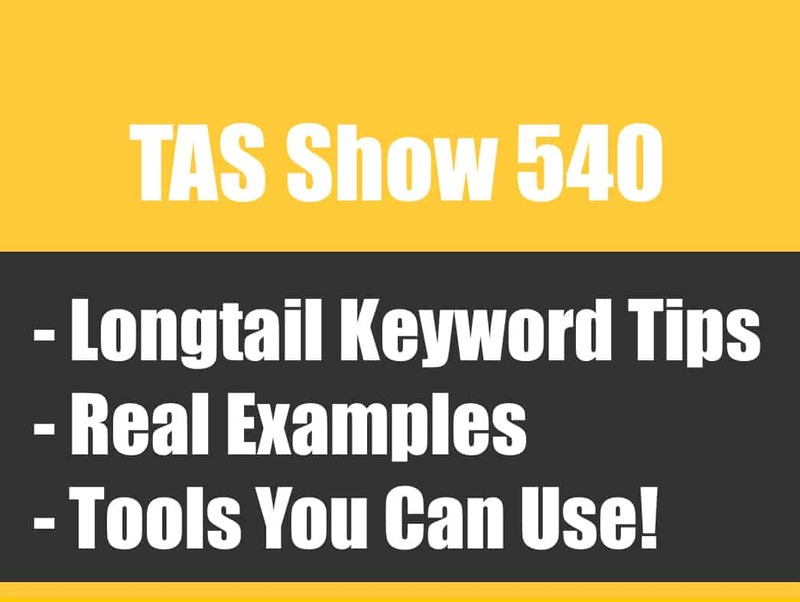 [00:50:11] KT: Yep so you don’t have to worry about doing that and again, don’t repeat the keywords and your search terms that you have in the title, they are both considered searchable terms. There are lots of others that are also already searchable, you need to take the time to figure out what they are, the merchant name is already searchable, what you put in the brand name is already searchable. Those don’t need to take up space in your search term fields. [00:50:37] SV: Okay, great. All right so is there any other last little tidbits you wanted to add or maybe recap a little bit on what we just went through real quick? [00:50:52] KT: It is getting more and more important I guess is the best word to play by Amazon’s rules. I’m not trying to drop any hints here, nobody has confided anything to me from Amazon but I can see the direction they’re going especially with the changes that have taken place in this home category’s style guide and they are on a mission to stamp out sellers that are bent on breaking Amazon’s rules. They have a way that they want it to be and you will play by their rules or they will take you out is the message that is coming through. It’s happening very gradually. Amazon is a huge machine so it’s going to turn very slowly but I would not be too bold with the measures you take if you plan on going beyond what Amazon’s terms of service is because it’s going to turn around and bite you faster than you might imagine. [00:52:00] SV: Yeah, we don’t want that. [00:52:01] KT: The other thing is however, Amazon had never really had a very good reputation about taking suggestions and implementing them into their system because Amazon is Amazon and they’re going to do it the way they want to do it but this shows that they listen and they make changes according to suggestions. [00:52:24] SV: Yeah, I agree. I think it’s great though that they are doing this because again it’s going to level the playing field and then everyone coming in doing all of these tactics and things that to me are loopholes as of right now, it’s just like in Google, you can game the system for just so long and then from there you got to rebuild yourself or try to clean things up. I’d rather go at it, start it off with a clean slate and really build this for the long term. [00:52:55] KT: I agree and it very much playing by their rules is very much a long-term strategy and yes you can break the rules and have your products de-listed and then change them and go back and forth and back and forth but that’s, to me, seems like two steps forward, one step back process. You’re not gaining as much ground as you think you’re gaining. I would play by Amazon’s rules but I am excited to see that they are open to changes, they are listening, I am definitely going to keep my eyes open for more changes. There’s still some confusing spots in seller central and in other guides about title characters and what not. All of that is supposedly in the works to be fixed. If you see any of these, bring them to Amazon’s attention, let them know. [00:53:46] SV: Yeah. Karon, thank you so much for spending some time with us again today, updating us. I’m sure we’ll have to have you back again when we have more updates and all this fun stuff but definitely really love talking to you about this. I know you and your company is doing this on a regular basis. Why don’t we remind people number one, if people want to go to the show notes for this and get all of the things that we discussed here, you can head over to theamazingseller.com/155. Again, that’s theamazingseller.com/155 and all of the notes and everything will be there. Karon does have a book actually. The last time we did the episode 86, we talked about that. She has a book. I actually purchased the book and went through it and I’ll tell you what, it breaks things down, even got some worksheets and stuff to go through which is really, really cool. Anyone that’s just starting or that might want to revise their listings and play by the rules, definitely check out her book. Again, I will leave the link inside of the show notes, that’s episode 155 and Karen I believe that we have a coupon code that they can save a little bit of money. [00:54:57] SV: What is that code again? Is it scott20? [00:54:59] KT: I do think it’s scott20 and it is case sensitive so you want to do it- how did I give it to you the last time? [00:55:08] SV: I’ll put it in the show notes. [00:55:10] KT: I don’t remember if it’s all caps or all lower case. It’s either one or the other. [00:55:14] SV: Yeah, what you’ll do is you’ll just go to that link and I am an affiliate just to let people know but I’m a believer in it because I know what Karon does. She’ll do the listings for you as well like a done-for-you service. I know that she does get busy so you’ll definitely want to contact her and reach out and get more information about that. I’ve had a lot of my listeners and students actually use your services and everyone is really, really happy with your done-for services. [00:55:40] KT: Awesome. I have a team of awesome writers that do phenomenal work if I do say so myself. I’m very proud of those girls and guys. I’m glad that you have gotten some good response from that. [00:55:53] SV: Yeah, I’ve got nothing but good. Definitely check out the show notes guys, that’s episode 155, that’s theamazingseller.com/155, you’ll get all of this here and so much more just to be able to really dive into this and also go back to 86. I’ll live a link to that episode as well. Karon, once again I want to thank you. This has been awesome, always awesome talking about in the trenches if you will like you are with Amazon and having that rep going back and forth with you, really, really awesome so once again, I want to thank you. [00:56:25] KT: Thanks so much Scott, it has been a genuine pleasure. [00:56:28] SV: All right, take care now. [00:56:30] SV: Okay, so there you have it, another great interview, a lot of great information. I got to be honest, when I jump on with a lot of my guests, I don’t have anything written as far as what we’re going to cover. We just let t flow and a lot of these questions I ask because I have them myself and sometimes it’s because I know that you’ll have them. Hopefully this has been helpful, I know it has to me and I know that I’ll be looking at my listings a little bit differently. Just remember, we want to play by the rules. Why? Well, because we’re playing in Amazon’s sandbox, their playground. We want to make sure that we abide by the rules so this way here we don’t get our accounts banned and we don’t lose our sales because they’re going to do some kind of review on our accounts and all of that stuff so definitely play by the rules. Don’t do any of those shady tactics. She breaks it down, she really does. Karon breaks everything down in really simple terms. If you want to check out the show notes to this episode with all of the details that we talked about head over to theamazingseller.com/155, again it’s theamazingseller.com/155 and all of the resources and all of the different bullet points that we talked about will be there. That’s it, that’s going to wrap it up. Remember, I’m here for you, I believe I you, I’m rooting for you but you have to, you have to … Come on now, say it with me, say it loud, say it proud, take action. Have an awesome amazing day and I’ll see you in the next episode. Finally you offer transcripts, great! Great podcast. I also listened to your other podcast with Karon and it is great to hear her discuss things she has learned from working with Amazon. What she said about HTML tags taking up more than one character space in the description made perfect sense. I have seen that happen when comparing to MS-Word, and it can be frustrating when trying to stay under the character limit for a description. Maybe Amazon is weighting HTML tags more heavily to keep people from using too many. I am not sure why anyone at Amazon would care but like you said, it is their sandbox. Anyway, I appreciate the value you and Karon gave in this podcast (and the value you offer in all of your podcasts). I hope you keep it up. Hey Scott! Great podcast with Karon. I really enjoyed it. You mentioned briefly how important images are and since a lot was mentioned about optimization and keeping in compliance, what are your thoughts on images with text on them. I’ve seen many photos with text saying the benefits/features of the product. Since I started private labeling on Amazon, I thought this was an okay thing to do, but is it really? Hey Joe, if the text ads value you can certainly play around with it. Just keep in mind that your primary image CAN NOT contain any additional text or graphics beyond the product. What a great Podcast Scott! Having Karon is like having an inside man/woman! 🙂 Fantastic, informative information from one of the best in her field! It looks like changes are definitely afoot, even though as you say they may come slowly with the ‘machine’ that is Amazon. With this I just wanted to touch on the ‘product features’ element you and Karon talked about early in the podcast. It appears it is only being used in some of the categories? is this correct? Nevertheless, is there a way you can manipulate your ‘key product features’ to make sure certain/specific text gets shown in category/kw search? Also, what are your thoughts on having an additional category for a product? We’ve tried it before with one of our products but with the many differentials the results were hard to gauge so your opinion (and others!) would be greatly appreciated. Hey Andy and Mike generally when they roll out these changes they happen category by category so keep an eye out! You can’t (as far as I know) have a truly seperate category for products any more, but some sellers are having success with adding additional subcategories. I don’t see it leading to a big boost in sales…but it cant hurt!